Many parts of the T-50 (PAK FA) covering are equipped with antenna systems which allow for the full use of its capabilities. 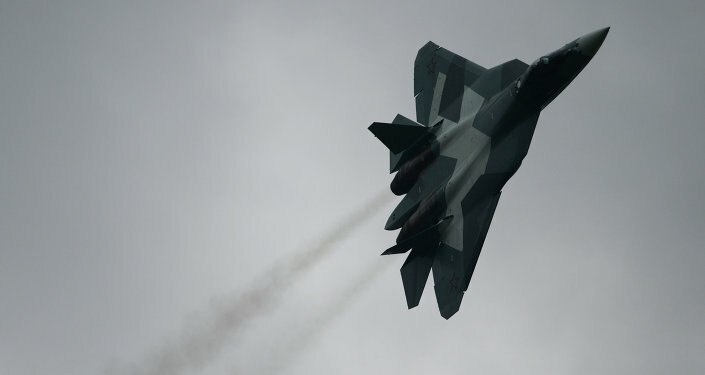 The Russian T-50 (PAK FA) fifth-generation jet fighters is a "100 percent digital aircraft" because of the "smart covering" of its body, Igor Nasenkov, Deputy CEO of KRET Holding, told RIA Novosti. KRET, part of Russia’s Rostec hi-tech corporation, developed electronic systems for the aircraft. 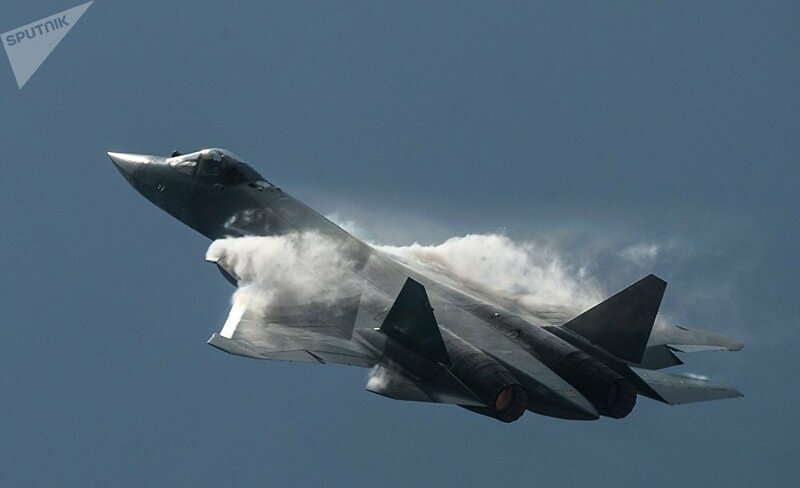 "The PAK FA is a fifth-generation aircraft, with a number of brand-new technologies used in the development. It is a 100 percent digital aircraft. It can provide full information support for the pilot. 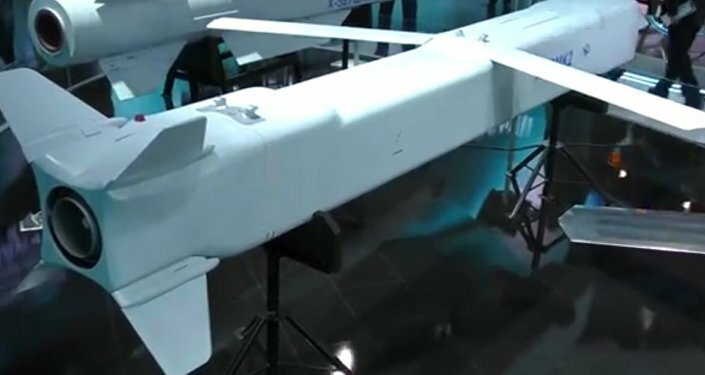 The aircraft is equipped with versatile antenna systems built in its covering," Nasenkov said during the Dubai Airshow-2015. According to him, the radio-radar equipment of the T-50 can be used for passive surveillance, active radiolocation, and electronic warfare tasks. The PAK FA radar has several operational bands. It is capable of providing 360-degree visibility, with all information projected on the helmet visor and in-cabin displays. All the PAK FA systems are integrated in its digital control system. It gives the pilot maximum comfort and handling, Nasenkov said. The T-50 is a single-seat, twin-engine jet fighter, and the first operational aircraft in Russian service to use stealth technology. It was designed by the Sukhoi Design Bureau. The aircraft will be used to achieve air superiority and assist in ground attacks. Besides its ability to fly at speeds well above Mach 2, the T-50 boasts other, even more important, features such as invisibility to radar and powerful weapons. It is equipped with advanced avionics and cutting-edge phased array radar. In December 2014, Russia’s United Aircraft Corporation announced that production of the fighter was ready to begin in 2016. Fifty-five PAK FA jets will enter service in the Russian Air Force by 2020. Sukhoi PAK FA versus Chengdu J-20: Which Fighter Has the Bigger Punch?